Huckleberries look very much like large, wild blueberries. The huckleberry bush grows best in full shade. Although it grows to 2 to 3 feet tall in full sun, it can reach 10 feet tall in full shade. Wild huckleberry bushes are commonly found under coniferous trees in the Pacific Northwest. Their flavor is unusual. Huckleberries are often used in local cuisines where the berries grow wild. They grow best in U.S. Department of Agriculture hardiness zones 7 through 9. The key to getting the most flavorful huckleberry is choosing the right time to harvest for optimal ripeness. They start to ripen in mid-August and turn a deep purplish black when ripe. Although beautiful when red, huckleberries of this color are still unripe and will not be sweet, like fully ripe fruit. Ripe huckleberries are firm, but are a little spongy. Huckleberries that aren't ripe will be hard to the touch. As they ripen, they become less firm and more spongy. By squeezing the dark berries, picking the berry, and associating the firmness with the flavor, you can quickly ascertain which berries are ripe and which should remain on the cane for a while. The skin of huckleberries is much thicker than that of their domestic cousins, the blueberry. Ripe huckleberries should be sweet with a little tartness. Bitter or sour huckleberries are likely not yet ripe. 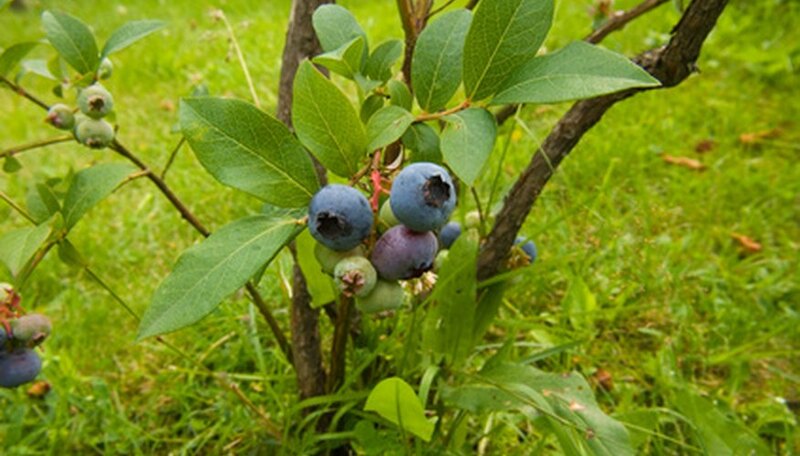 Because they are similar to blueberries, many people expect huckleberries to taste like their close cousins. However, wild huckleberries are sweeter than blueberries. According to the University of Idaho, huckleberries contain more flavor-imparting chemicals than domestic blueberries. The flavor of huckleberries, especially wild huckleberries, are generally much stronger than blueberries. However, flavor can vary greatly from bush to bush. If making huckleberry jam or candies, mixing fruit from different bushes can help to create a smoother flavor with less variance. Traditionally made into preserves, another good way to keep berries is through freezing. If you pick more of the berries than you can eat in in two to three days, place the berries in plastic freezer bags or containers and place them in your freezer. Huckleberries can last as long as six months frozen.